Good Morning Most Awesome and Wonderful World Changers! Today I choose to become aware of the good things God has blessed me with. Many times people only focus on what’s going wrong in their life. Like let’s say your bank keeps going in the negative. So you get sad and start being tight with money and saying things like ” I’m broke. I’m can’t seem to keep money.” Then it keeps happening more and more. Now the only thing you think about is not having money and your account going in the negative. However, I dare you to just think of one thing to be glad about! Develop your Glad-Awareness! Try to focus and be glad about having a job or be glad about the fact that you’re still able to eat. It takes a while to develop this awareness. Just start finding one thing to be glad about. Then let it grow til you start finding more to be glad about. So for the next few weeks, leading up to the Tahillah Rhema Project; this is my annual birthday concert, I’m going to be focused on things that make me glad. 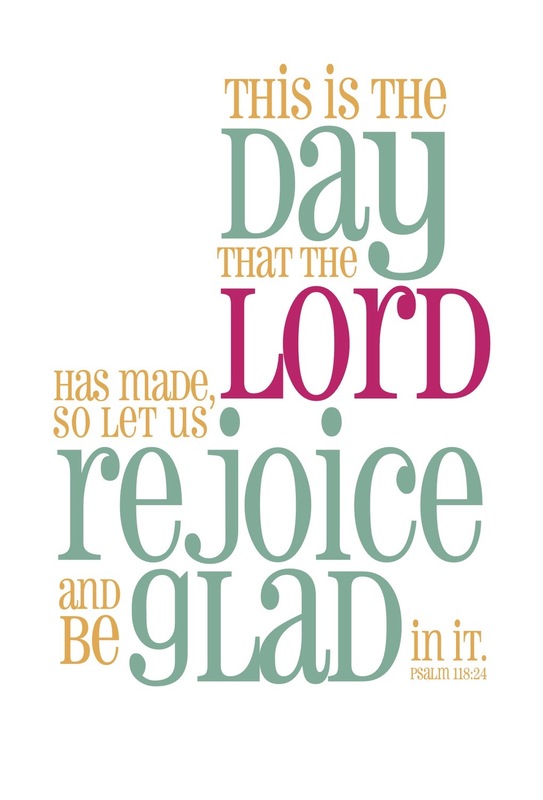 I choose not to be stressed out, but I choose to rejoice and be glad! Starting this week, I’m using the same Affirmations for the whole week! Previous Post Time to be GLAD!!!! Next Post Be Glad and Grateful !! !